School is almost back in session – do you have Homer for your classroom? Homer for Educators is FREE for all teachers, librarians, and media personnel with a verified .edu, .org, .net or non-profit educational organization email. 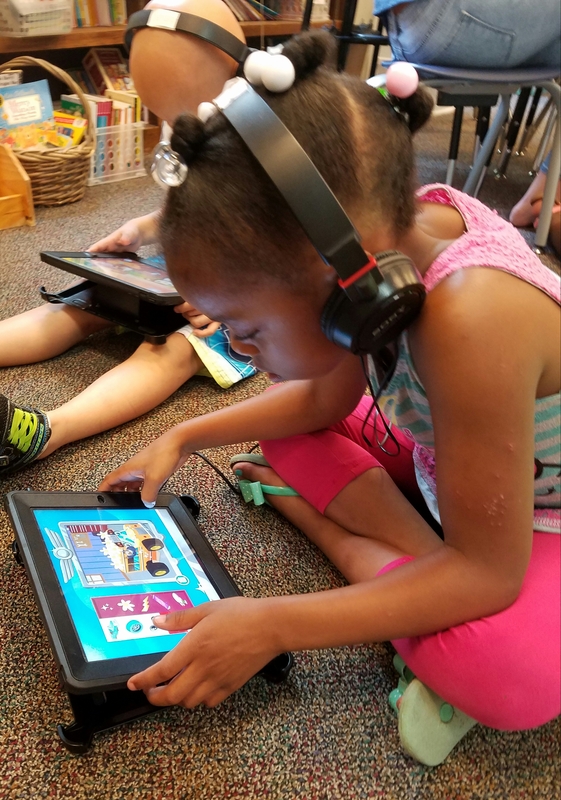 You’ll have compete access to all lessons, stories, and songs in the #1 Learn-to-Read Program, as well as hundreds of our printable lesson worksheets through the Educator dashboard. Your account will hold up to 30 students and you can track each student’s progress! 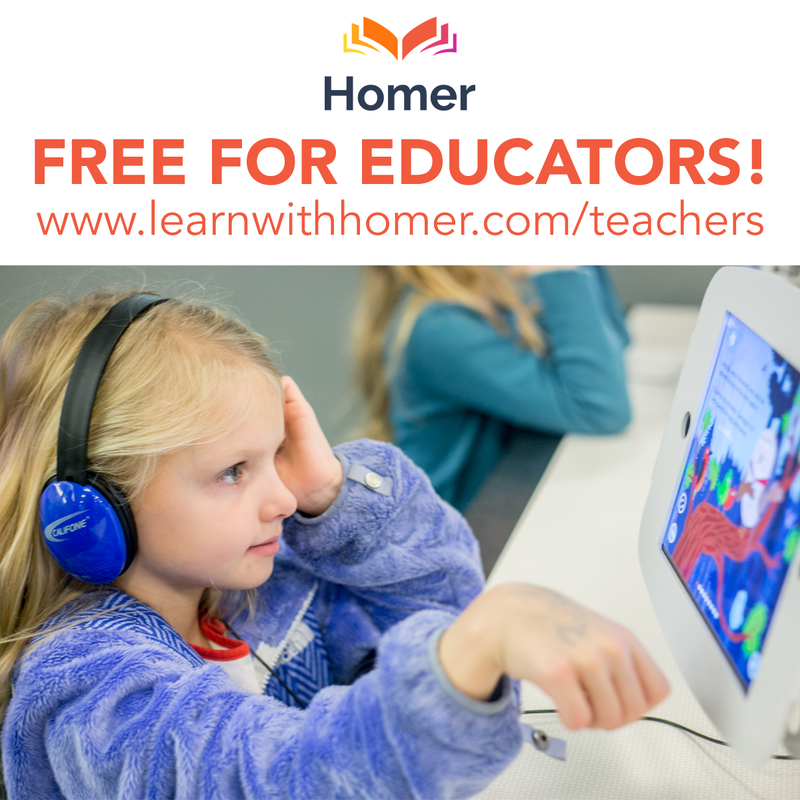 Sign up for your FREE Homer for Educators account here! Earlier this week, Homer announced a partnership with Dollar General and Horizons National to bring summer literacy opportunities to low income students. The Horizons National Summer Enrichment Program is a network of community-centered academic summer programs that puts low-income public school students of varying abilities on the path to success. Horizons’ mission is to close the achievement gap by providing underserved children access to high-quality academics in an engaging summer program. It has been well documented that gaps between middle and low income students grow more pronounced over the summer months, when upper income children may attend enrichment programs or summer camps while their lower income peers do not have access to the same costly educational opportunities. As a result, low-income students tend to fall further behind in reading and math during the summer months, while their more economically advantaged peers keep pace or even jump ahead. This phenomenon, known as “summer slide,” is a major contributor to the achievement gap between middle and low income students and one of the most urgent educational issues in our country. Summer learning loss leaves low-income students as much as three years behind their higher income peers by the time they reach fifth grade. In contrast, Horizons students gain an average of two to three months in reading and math skills during the six-week summer program, keeping them at grade level or above. We are so excited to work with Horizons to make a positive impact in several communities! Homer, the #1 Learn-to-Read program for young children ages 3 to 8, has teamed up with the Horizons National summer enrichment program to use technology to prevent summer learning loss by increasing the amount of literacy instruction offered over the summer months to low income students in participating programs. Enter to win a $100 VISA Gift Card! 2. 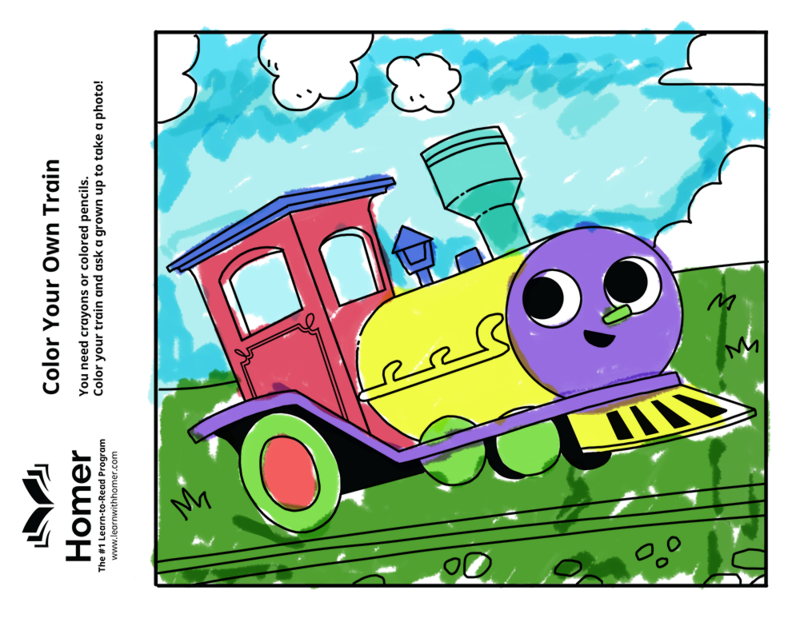 Encourage your child to use his or her imagination and creativity to color and design a train. 3. Take a photo of your child with his or her creation and post the picture to our Facebook page. You may also tweet your entry to our Twitter handle, @LearnWithHomer. We will randomly select a lucky winner! You may submit multiple entries. Contest ends July 14th at 11:59 PM EST. Weekend Activity – Printable Lesson Packs! Choo-choo! We are still celebrating the release of brand new lessons, games, and songs at Camp Homer! 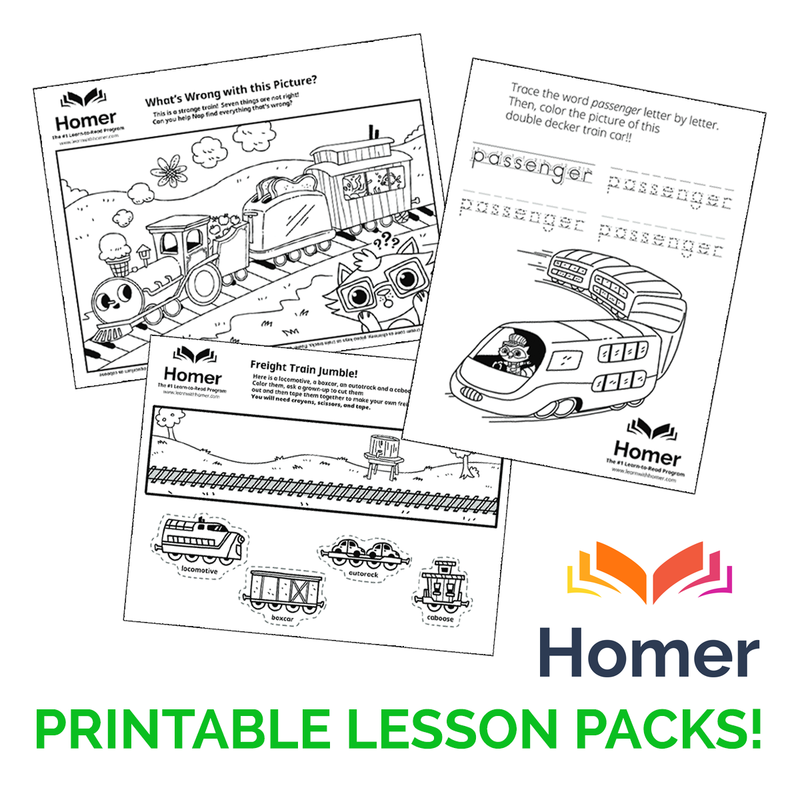 Here is a fun weekend activity for your child – printable lesson packs! Can you help Nap find everything that is wrong with this picture? Cut and paste to create your own train. Trace the letters to practice writing and forming words.